EMANUELE LEVI started in the Venture Capital Industry in January 2000 in Milan and has since made over 20 investments in Italy and France, mostly in the digital industry as well as in the e-commerce sector; since 2007 he lives in Paris and has invested almost exclusively in France. He started his career in 1993 at Unicredito Italiano Group in London where he spent 4 years on cross border M&A advisory. 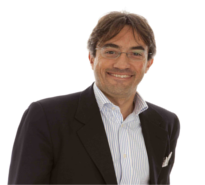 Emanuele joined in October 1996 Bain & Co in Milan as Senior Consultant and in 1999 he moved to Lazard Investment Banking as a Director of the TMT practice. Emanuele holds a degree in Business Economics from the University of Turin and took a Corporate Finance Programme at LBS in London.